The system is flexible, transformable and fully demountable, meaning that the same kit of parts can be assembled to adapt to a range of spatial requirements. 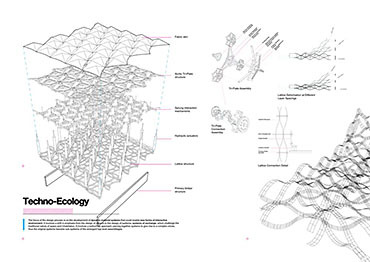 Rather than one design solution, an infrastructure has been designed for the creation of architectural space, centred upon environmental experience. 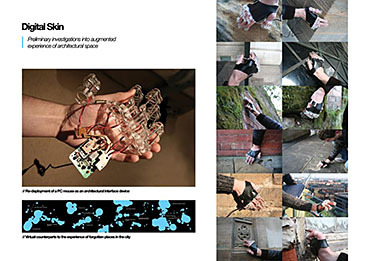 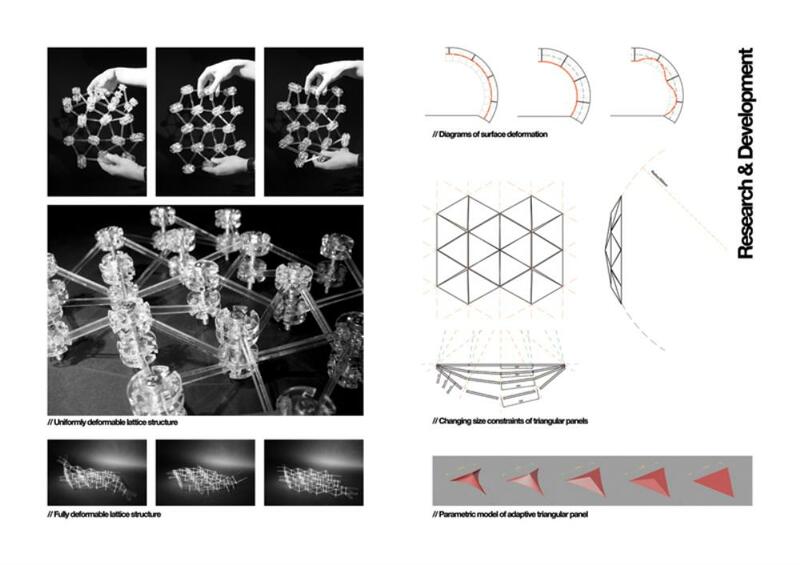 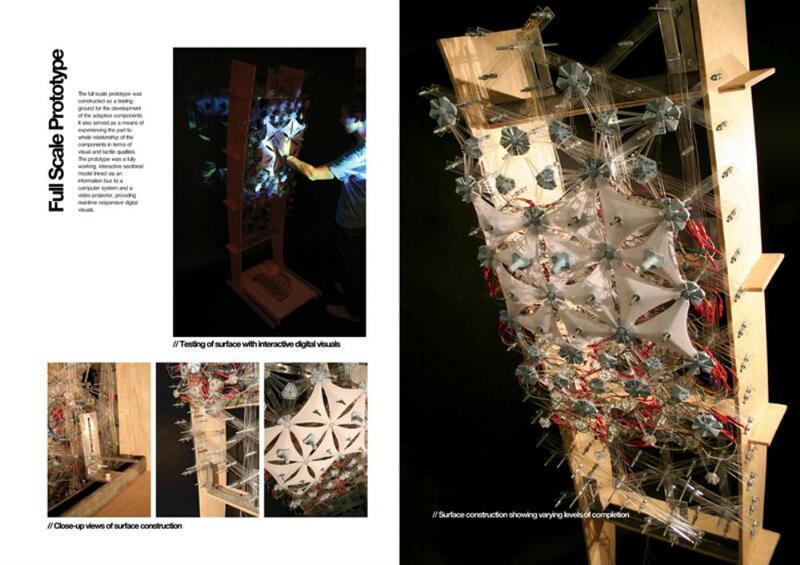 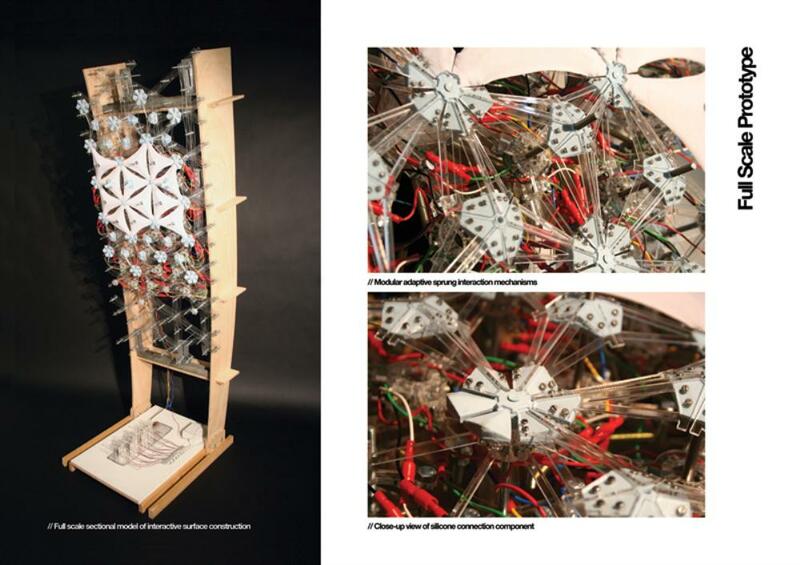 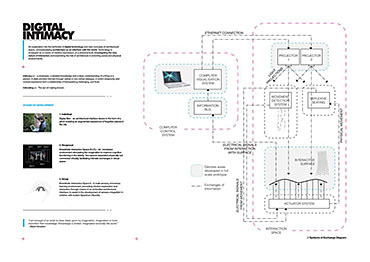 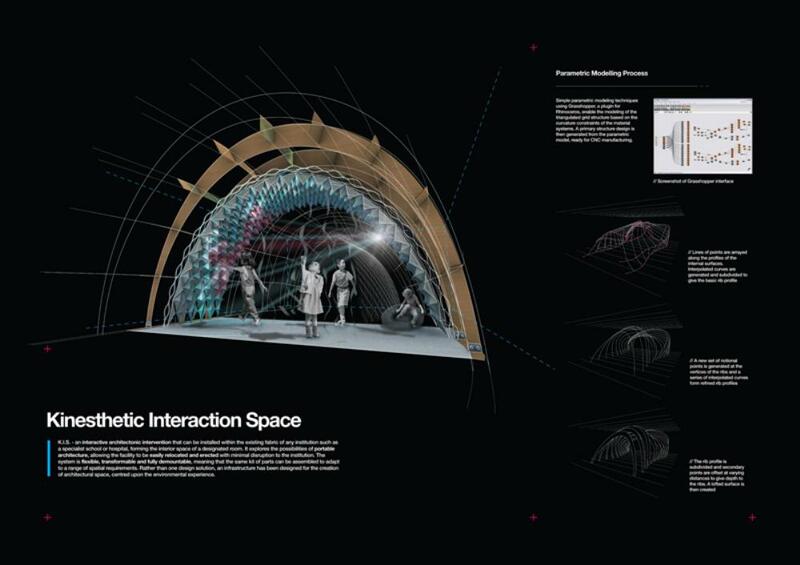 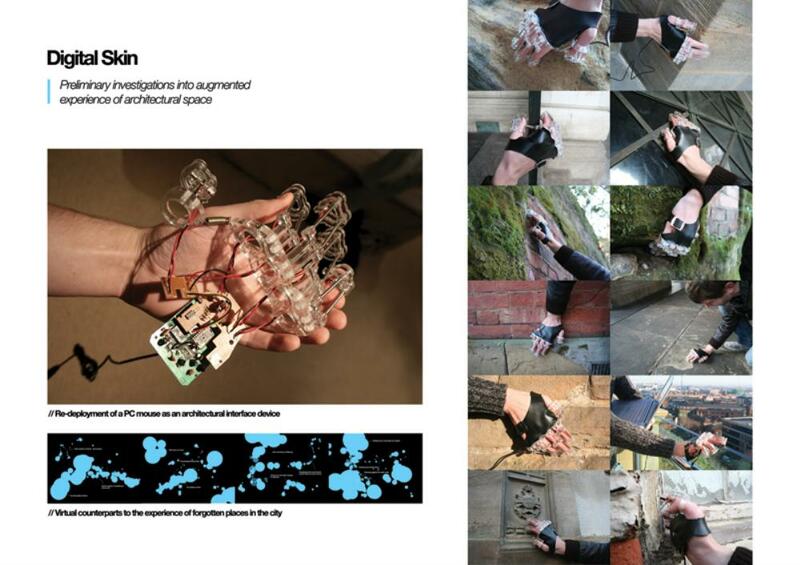 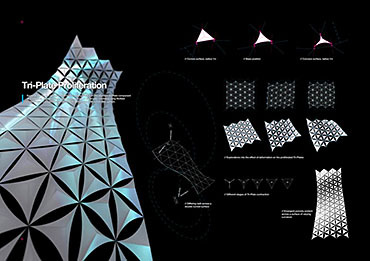 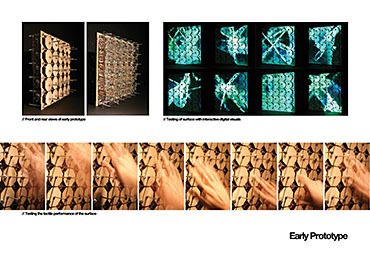 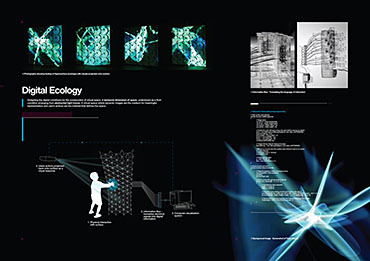 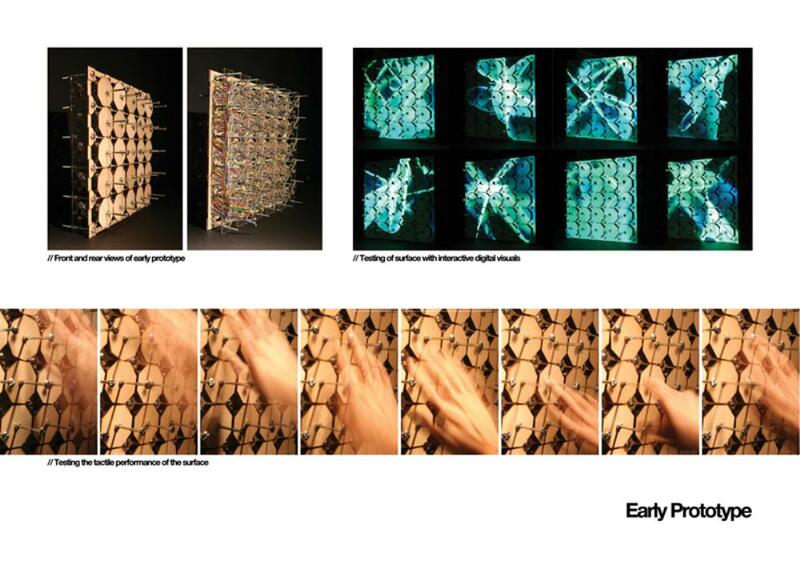 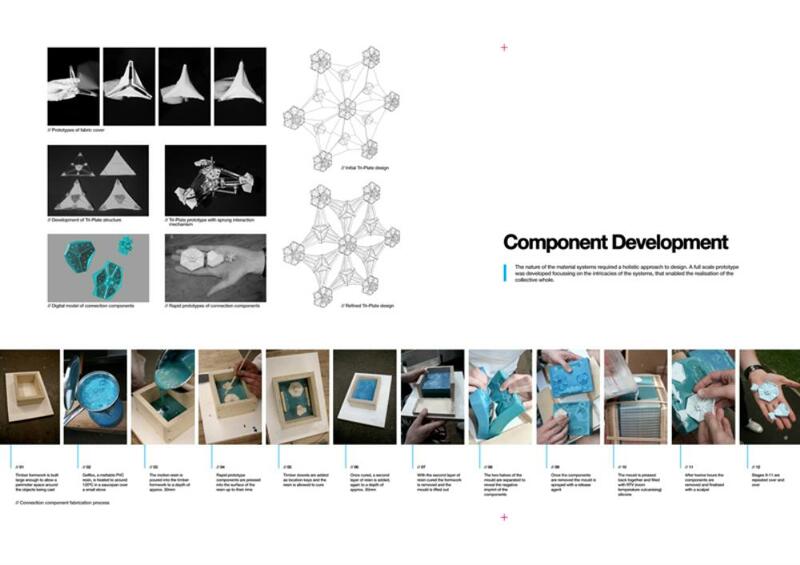 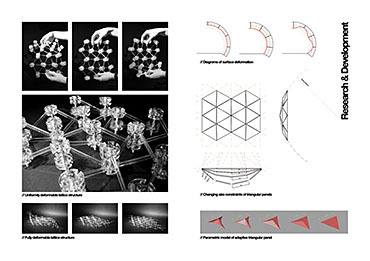 The thesis was developed through a full-scale prototype that was constructed to enable the experience of the qualities of the surface, both visual and tactile, and the observation of its use, including people’s responses.